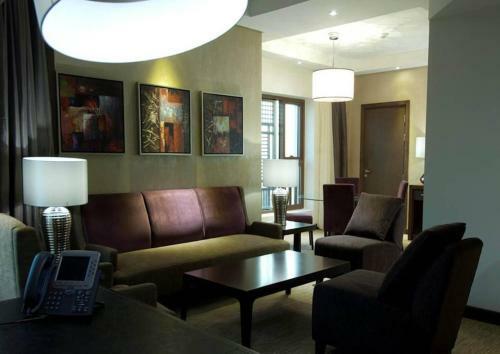 Located in downtown Medina, this 5-star hotel boasts 2 restaurants, an on-site gym and a health spa. It is just 3 minutes’ walk from the Holy Haram. 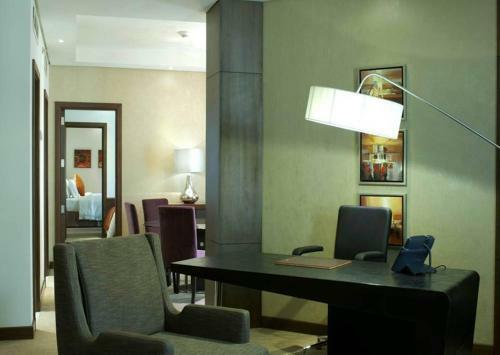 Furnished with a modern décor and warm colours, all units at Crowne Plaza Madinah feature a flat-screen satellite TV, minibar and tea/coffee making facilities. 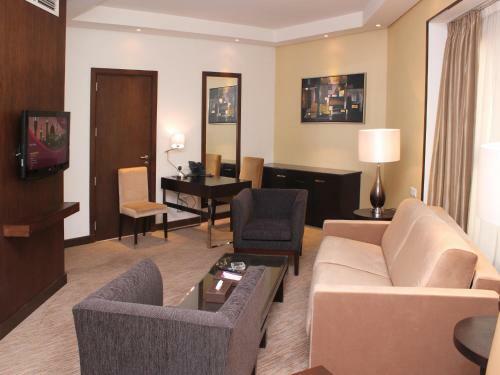 Some suites offer a view of the Haram or the city. 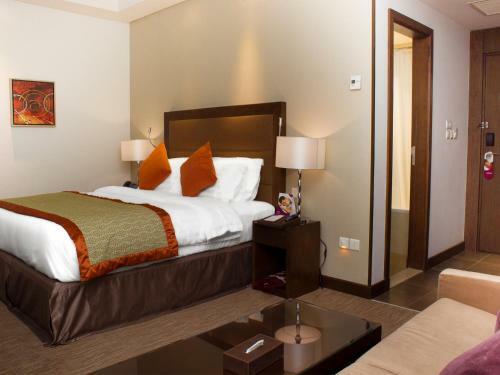 The hotel has 5 spacious meeting rooms where business travellers can make use of the latest audio-visual facilities. Free Wi-Fi is available in all areas. 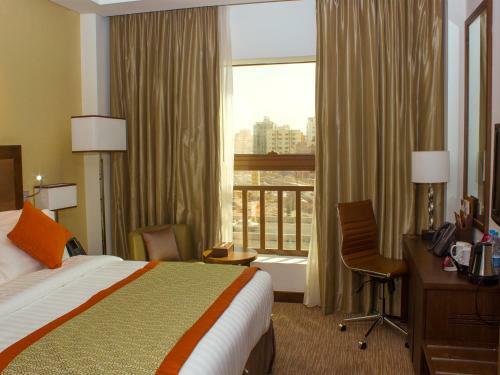 Crowne Plaza Madinah is ideally situated in Central Medina, with easy access to historical sites and shopping centres. 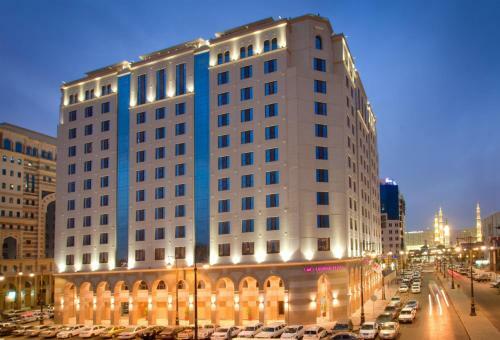 Prince Mohammad Bin Abdulaziz International Airport is 15 minutes away by car. 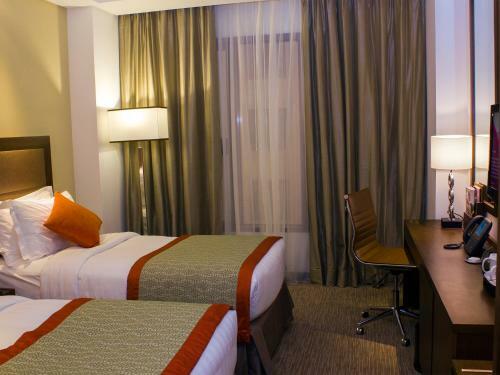 This air-conditioned room features free Wi-Fi, a seating area and a flat-screen satellite TV. 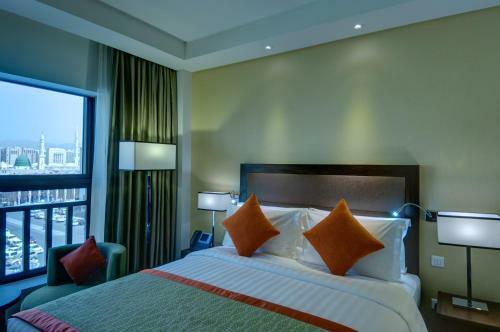 Facilities include a minibar, tea/coffee maker and safety deposit box. The bathroom comes with a walk-in shower. 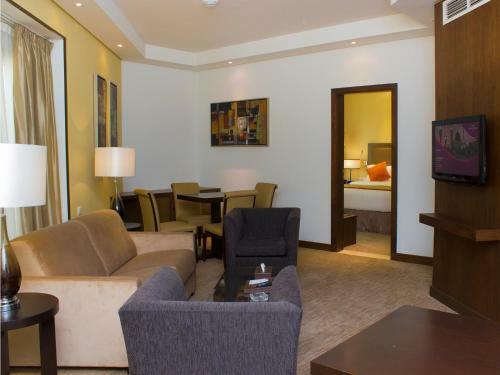 Overlooking the courtyard of the Holy Haram, this air-conditioned room features free Wi-Fi, a seating area and a flat-screen satellite TV. 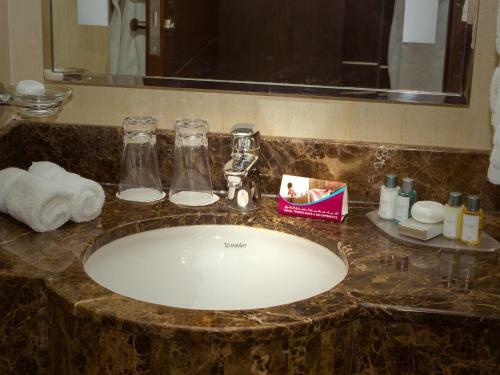 Facilities include a minibar, tea/coffee maker and safety deposit box. 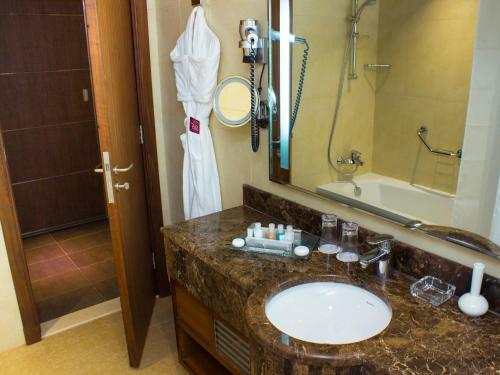 The bathroom comes with a walk-in shower. 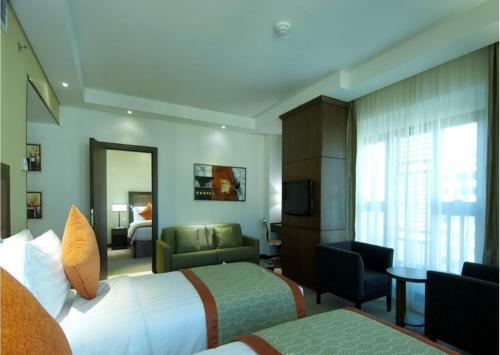 Fitted with carpeted floor, this air-conditioned room offers a small seating area with a flat-screen TV and a minibar. 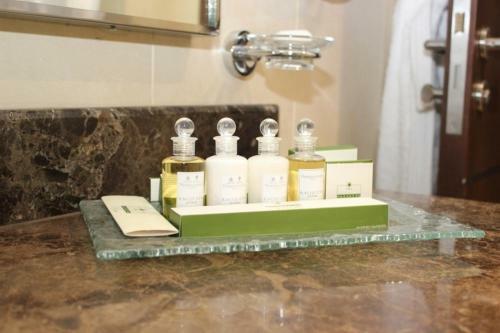 The bathroom is fitted with a bath, a shower and a hairdryer. 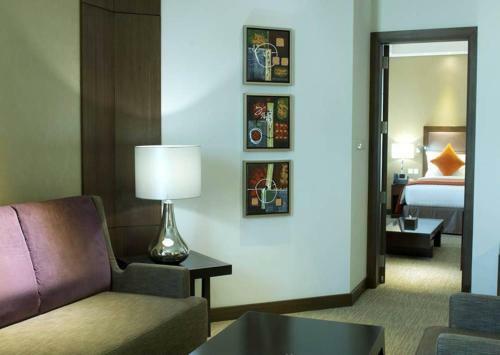 Overlooking the Haram, this air-conditioned room features free Wi-Fi, a seating area and a flat-screen satellite TV. 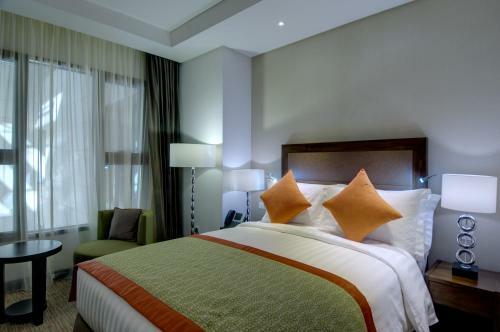 Facilities include a minibar, tea/coffee maker and safety deposit box. 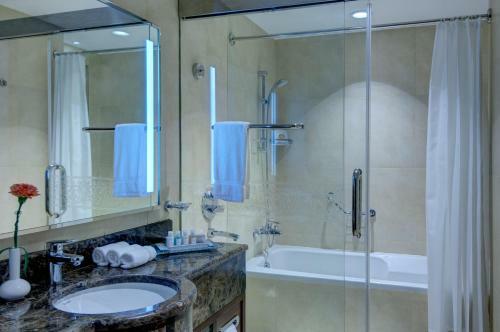 The bathroom comes with a walk-in shower. Děti jsou v hotelu vítány. Za použití stávajících postelí pro maximálně 2 děti do 12 let se neplatí. Za dětskou postýlku pro 1 dítě do 3 let se neplatí. Za přistýlku pro 1 starší dítě nebo dospělého se platí 100 SAR na osobu a noc. Maximální počet dětských postýlek na pokoji je 1. Maximální počet přistýlek na pokoji je 1.